A dedicated place where visitors from all over the world can hold conversations about plants, post photos of their collections, ask care questions, and share advice. Erin Agree with Jenna below- if you can repot it into fresh dry soil, that might be worthwhile! 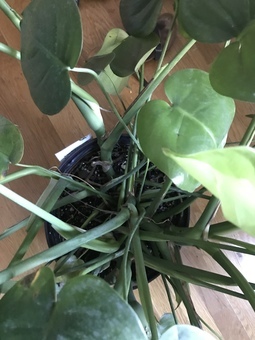 If you're able to share a photo of the entire plant that would be helpful too. I'd also say you might not need to create your own potting mix. Perlite helps hold in moisture so it might have been doing a disservice to your plant - where your soil felt dry on top so you watered, but essentially there was already moisture waiting to be needed under the surface. 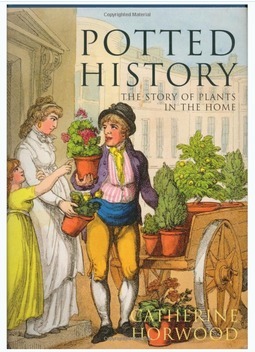 I'd just stick with general sill potting soil. Pei oh no! 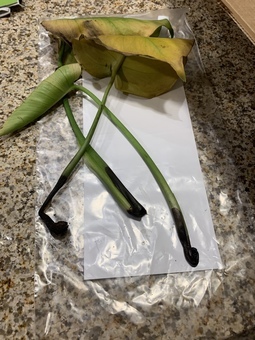 It has rotted unfortunately and beyond savable :( I don't think it has anything to do with monstera as they are usually not that sensitive. 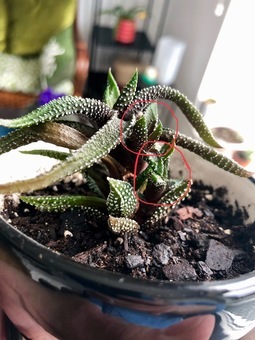 My plant is turning pink! Hi fam! 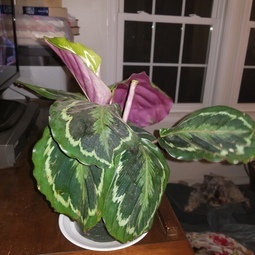 So my plant was incredibly healthy and growing, but recently the stem has turned pink (and at a rapid pace). I tried re-potting it thinking that perhaps the roots were wet and molding but there hasn't seemed to be a change yet. Any advice on how to keep my friend alive? PlntNrd How often are you watering it and how much light is it getting?When succulents turn colors, like red or pink, it’s a response to stress. Stress can be from a lot of, or too little, light, very little water, or change in environment. I don’t think yours has to do with too much light, it’s actually looks very etiolated, which means it’s not getting enough light. So the next thing to look at is are you underwatering it (which is fine to do) or had there been a drastic change is it’s environment. I stress my succulents with too much light and lack of water to get specific colors, so it’s not necessarily bad or harmful. The one thing I would to is get more light for it somehow. It should have 6-8hrs of fulls in a day. With most succulents, you should not be able to see the stem and, for sure, if you can touch the stem with your finger, it’s too etiolated. The leaves should be stacked on top of each other tightly. 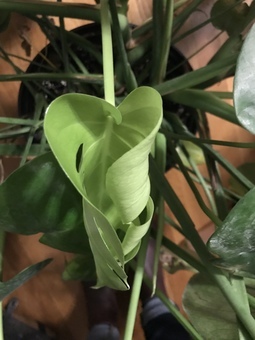 There are a few kinds that do have a growth pattern that is long and stretches, but there isn’t that much space between the leaves. 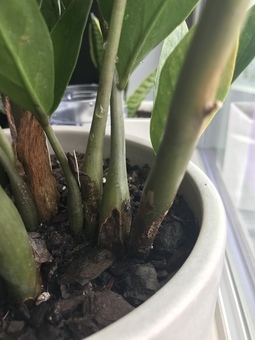 This is showing up on a few of the stems on my ZZ Plant. Is this root rot, or from pests?? Pei [291426,jenna] is a ZZ expert. Maybe she can help! Caitlyn Jones [288486,PlntNrd] the areas were not quite mushy, but definitely a weaker consistency than the rest of the stems. 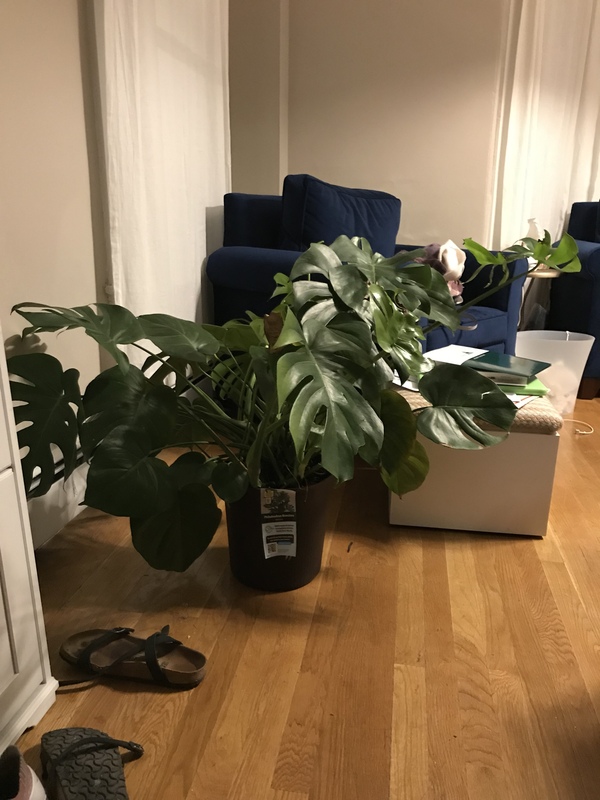 I typically give this plant a splash of water (probably 1/4 cup or less, but I haven’t been measuring) once every other week. 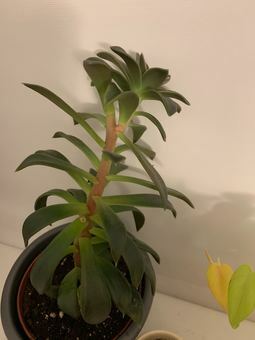 I am new-ish to being a plant owner, so I haven’t experienced root rot yet or know exactly what it looks like. 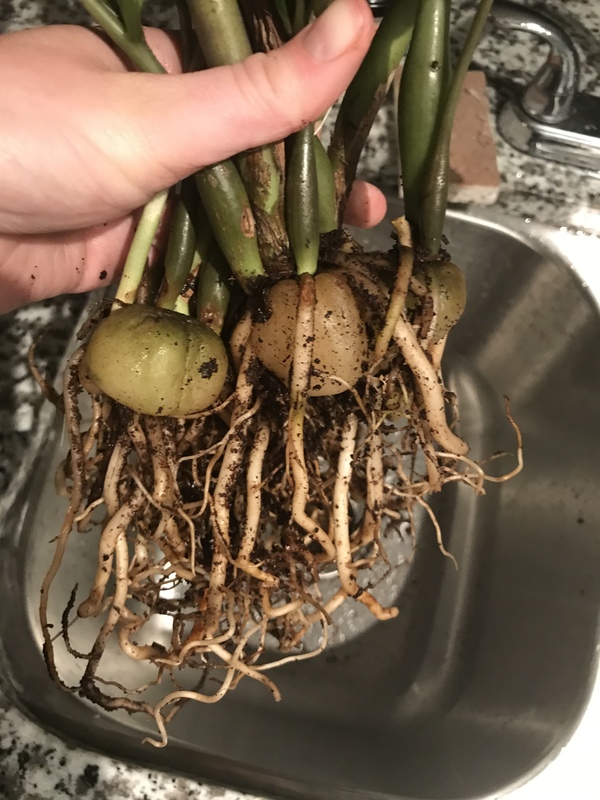 I unpotted and cleaned off the roots to check them out. I didn’t see any obvious signs of rotting (to my naive eyes, let me know if I’m missing something in the picture). So I separated the 3 questionable stems and repotted the rest of the plant with clean soil. I put the questionable ones in a separate small pot to see if they can recover. I had no idea about the water getting on the stems/leaves though! Than you for that tip! PlntNrd Are those areas soft and/or mushy? Is yes, then it is rot. That’s what it look like from the pic. That pot doesn’t have drainage and ZZ plants do not need much water, so I would suspect that it may be overwatered. How much and how often have you been watering it? 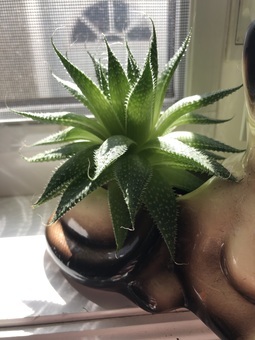 I have the same plant in the same pot and I only water a small amount twice a month. Every environment and home is different, so yours may need more or less, but if you’re watering a large amount and very often you may want to change that. At this point, since there are already signs of rot, you might want to unpot, check to see if the rhizomes are rotted, remove affected stems/areas and repot in fresh, clean, dry soil. I also see water droplets on the stems in the pic, when watering you may want to just wet the soil and not the plant itself. 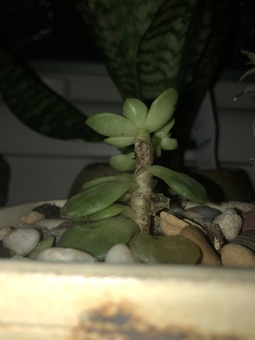 Getting water on the stems or leaves can cause issues with rot, mold, etc and ZZ plants are considered to be succulents and should be treated as such. Good luck. Finally got the husband to hang these.. I bought 3 of these some time last year and they’ve been sitting in a box. I finally got my husband to hang them up for me and then I had to figure out what to put in them. I’m so happy with how they turned out! 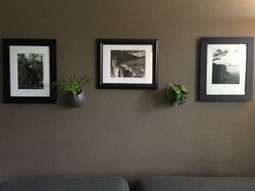 I really love the way they look above the couch with my pics and I love the way the plants look in them. Now I have to decide where to put the third one, but I’m definitely very pleased with the look of these two. Erin Digging the pops of green against the dark wall! Pei 😍😍😍 they look awesome! Can’t wait to see when the philo starts vining. 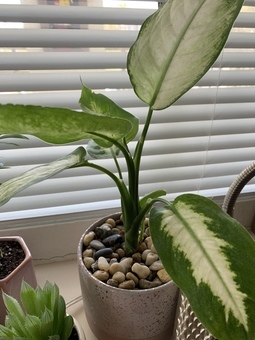 Is that a spider plants on the left? I personally also really like asparagus fern. They vine and so elegant! Pretty straightforward. Just got a small gardenia and I think it needs to be repotted soon - lots of roots growing out of bottom of container. I've read they are very finicky and seen lots of suggestions on soil mixtures and additives - if nothing else it seems they enjoy acidic soil with a pH around 5. _Any off the shelf suggestions for indoor gardenias? _Any suggestions for magic mixes to make my own? Rather not do this but I will if it's best. _Any other specific suggestions on fertilizers or soil conditioners or who knows what that gardenias love? All my plants seem to be sick. 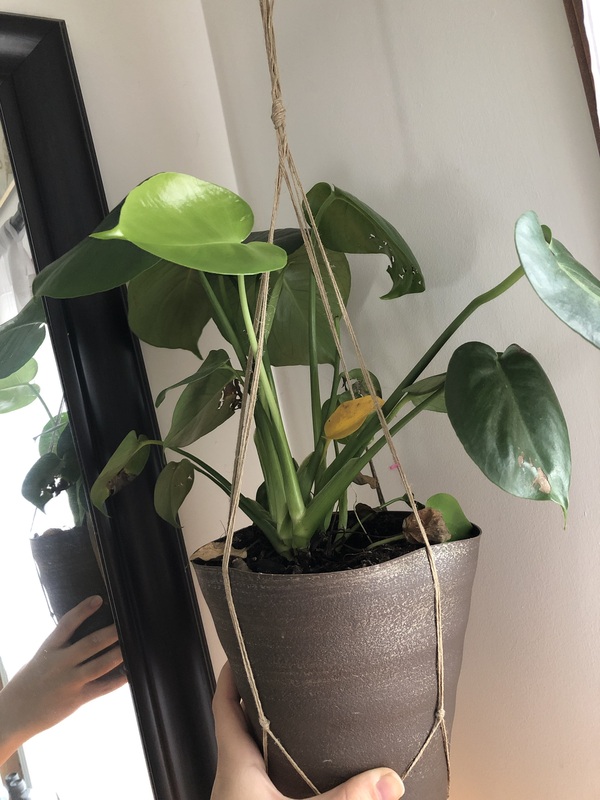 The ends are turning brown or certain leaves are discolored and sagging :( how can I save them and help them thrive? PlntNrd I would look in to your watering techniques. That’s the number one way that most plants die or suffer at the hands of an owner. If all of your plants seem to be affected by something and aren’t thriving and flourishing, then there must be something going on. Look at how much and how often you’re watering, whether they have drainage, how much light they are exposed to, and check for pests. 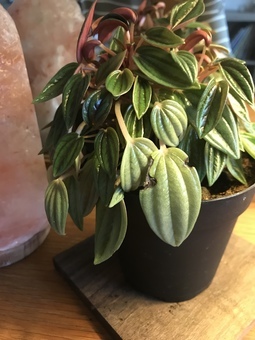 Pei Hi Megan, the Rosso peperomia in the photo looks like it's not getting enough light. You can tell because most of the new growths (on top) are so much smaller! But your other plants, how much sun and water do they get? are they all in the same spots? ?